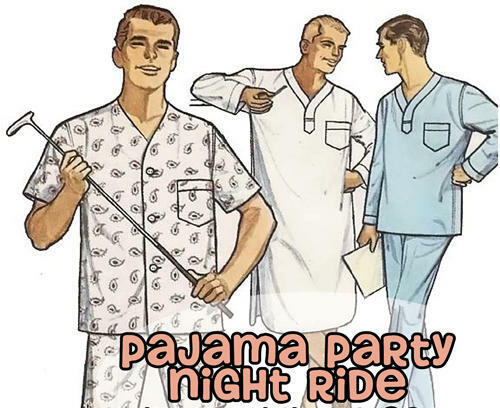 Our most popular Night Ride is BACK! We'll begin the festivities at 7:00pm in the Parking Lot of the store, with cycle-your-own smoothies on the blender bike as we admire our favorite sleepwear! The ride is FREE, but you must sign a waiver when you arrive. 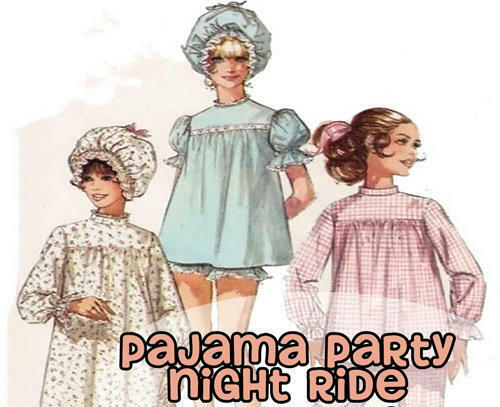 We'll begin the ride at 8:00pm sharp as we head onto the Ohio & Erie Canal Towpath Trail, riding 7 miles south through the beautiful Cuyahoga Valley National Park to the Botzum Trailhead, where we'll have pj-party-themed snacks. Then, we'll turn around and head back to Peninsula enjoy post-ride refreshments at The Winking Lizard Tavern. The ride is open to riders of all ages and abilities! You must have your own bicycle, helmet, and headlight. The store will be open before the ride starts if you need any last-minute supplies. We hope to see you there!